If you’re yearning for a luxurious vehicle to use on a daily basis, then stop by Butler Hyundai in Medford, OR and discover the 2015 Hyundai Genesis. As one of Oregon’s premier Hyundai dealerships, Butler Hyundai houses the largest selection of new Hyundai vehicles in stock and proudly serves the Medford Metro Area, Grants Pass, and Klamath Falls, OR. Our award-winning staff will get you the best price on a new Hyundai and will provide you with a first-class experience. 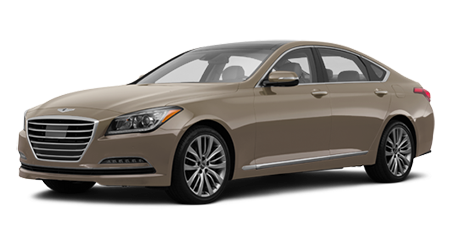 Stop by Butler Hyundai and see how the luxurious Genesis fits into your driving lifestyle. There’s a lot of competitors in the upscale luxury sedan segment, so let’s see how the 2015 Hyundai Genesis does against the Cadillac CTS. As luxury vehicles, both of these sedans provide you with a copious amount of interior space to use on a daily basis. 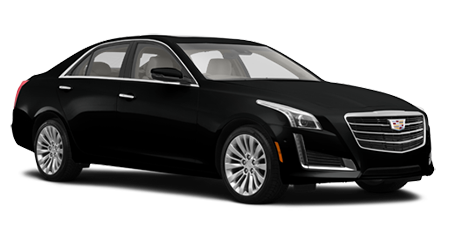 The CTS has an interior volume of 110.7 cu. ft., while the Genesis provides you with 123.0 cu. ft. of interior space. The extra 12 cu. ft. of interior space allows the Genesis to have more front headroom, rear hip room, front hip room, front shoulder room, rear headroom and rear shoulder room than the CTS. If you appreciate having extra space in your sedan, then the new Genesis won’t disappoint. The 2015 Hyundai Genesis is an upscale midsize sedan that can tackle all of your driving need with ease. When comparing the Genesis to the Cadillac CTS, the Hyundai has the edge with its bang for your buck, interior space and extended warranty. Visit Butler Hyundai in Medford, OR and test drive the new Genesis today near the Medford Metro Area, Grants Pass, and Klamath Falls, OR.